1-Owner! Very well maintained! Diesel! 4X4! 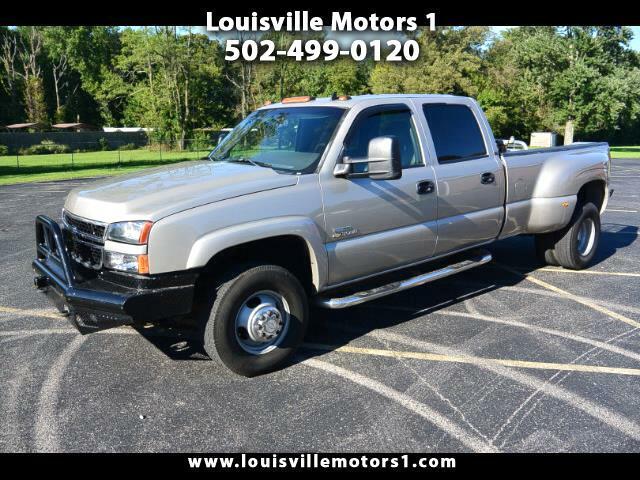 This 2006 Chevrolet Silverado 3500 LT is ready for a new home! Gold exterior with black leather interior. Keyless entry, heated seats, power door locks, power windows, power mirrors, CD player, steering wheel mounted controls, and more! Do not let the miles on this unit fool you!! THIS TRUCK RUNS AND DRIVES GREAT! 6.6 Liter V8 turbocharged Diesel!! Come by and see our premium selection of gently used vehicles today!! !